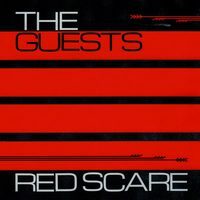 SLUGSALT RECORDS - The Guests - Red Scare 12"
Sabotage Records (Germany) released a 12" using the first two tapes that the Guests recorded! 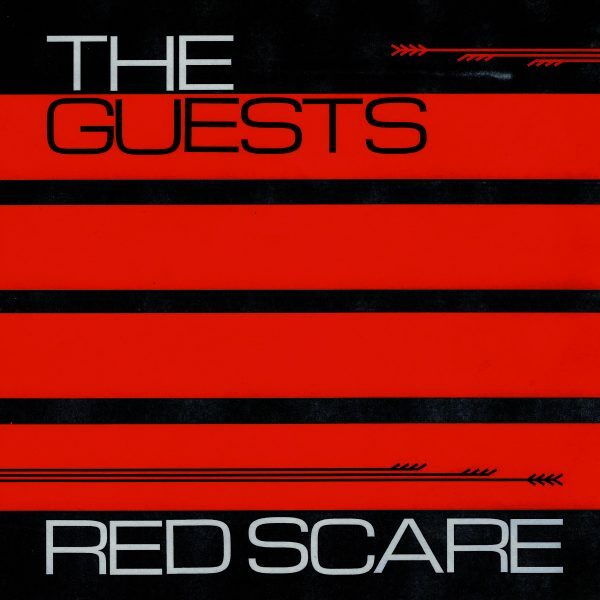 "The Guests formed in 2015 when it was decided that the far-left needed a suitable media platform. The project had to be engaging, drawing the people to its message, but dark, reflecting the dismal current state of history. A pop band, drawing on post-punk and goth, was decided as the medium, built on the obscure memory of a one-off New Order cover band performance that Philadelphia residents Christian Vogan (vocals) and Alkis Meimaris (guitar) had done while at school together in New York state. The lineup was rounded out by brothers Hart and Kyle Seely (also of Sheer Mag) on bass and drums respectively, as well as synth player Florence Lin. Together, the Guests envision an alternate, more revolutionary history of 80s-style jangle pop, built on the rock-solid foundation of the Seely brothers' groove section. Focused guitar hooks and soaring rushes of synth, provided by Meimaris and Lin respectively, interlock atop this, giving breath and motion to Vogan's calls to arms, battered landscapes and righteous indignation."